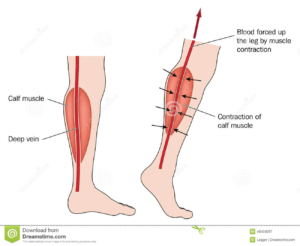 — My Feet And Ankles Swell At The End Of The Day, Is This Normal? You may find that at the end of a long day your feet and legs are starting to resemble the legs of an elephant. There are a number of reasons why you could be getting swollen legs and feet. ​As we age, circulation can become compromised especially to the extremities such as our feet and ankles. How can you combat this swelling? 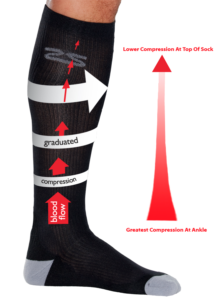 ​These compression socks work by increasing the blood flow in your legs and is a great solution to rid those swollen feet and legs. If you feel like you don’t fit into any of the categories and are sick and tired of your swollen feet and legs, come visit one of the friendly podiatrists at Podiatry HQ and we will work with you to find the cause and treat it!